CURRENT INVENTORY | HOME | KNOWLEDGE INDEX | CONSIGN WITH US | CONTACT US | OUR PROCESS | FACILITIES | ESTATE AUCTION V/S ESTATE SALE | WHAT IS IT WORTH? Need to liquidate an estate or business? The professional rapid liquidation of estates, businesses, restaurants, resorts and hotels in Central Florida is what we are known for. Our process allows for hassle free off site sale of your valuable antique and common furnishings. This avoids the intrusion and liability of on site estate sales allowing you to sell and vacate the real estate in a quick and timely basis. From first contact to pick up of your inventory averages 36 hours due to our efficient team. Our system is trouble free to the consignor and bypasses teh hassles and downfalls of conducing an on site estate sale. 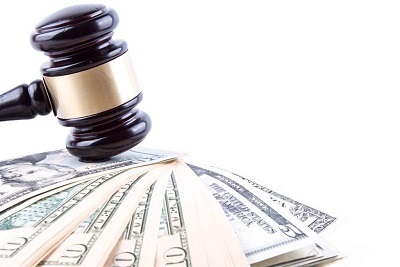 Estate auction liquidation is a much more reliable and lucrative way to finalize an estate. Estate auction is the perfect solution for disposition of a loved ones estate. Disposing or selling an estate by auction is a much more rapid and lucrative process than conducting an on site estate sale. On site estate sales typically are conducited over a three day period in which your real estate is used to host curious onlookers, lurkers, nosey neighbors and a few bargain hunters to enter the house and pick around. These types of estate sales companies for estate dispostion tend to have a following as any business does. your inventory while making some money. However, there is a much more reliable and lucrative way to do so. Estate auction is the perfect solution. Read on to find out why! For Orlando residents looking to sell valuable items at a competitive price, you may be tempted to set up a garage or estate sale. This can be an effective way to clear out some of your inventory while making some money. However, there is a much more reliable and lucrative way to do so. Estate auction is the perfect solution. Read on to find out why!